Guts(male) is 8 months, and is 16 pounds. He seems kind of small in comparison to other shibas his age. He was also neutered a little before 6months, so I hope that doesn't effect his growth. I notice he doesn't eat very much. I really hope he hits the 23 pound mark. Miyumi weighed in at 14.3 pounds at 6 months. She looks like she is average with all the other 6 month old female weights. I do think it's interesting that the females are a lot more consistent grouping, where the males are all over the place. @anna - I arbitrarily called all dogs 36 months if they were 3 years or older. It seemed to me there was no chance the dog was still developing/filling out at that point, so any weight changes would be due to diet or something. Plus, it allowed the graph to show the puppy weight development more clearly - otherwise the graph trailed way off to like 140 months with very few data points. It's playing with the statistics a bit, but I think it makes it better to see the data you're looking for. Also, there's a similar thread to this on Dogster. I've started adding some of that data in as well to give a broader picture. @Asterix Yah, I saw you posted that you did that. I just though the huge line it ended up creating is hilarious. Such a huge difference in sizes in adult dogs! Both of our guys are 30 lbs at age 5. One is quite tall for the breed and thin, and the other is a bit thicker in body shape (more muscles as he bench presses in his spare time) and a few inches shorter. So, I was wondering, would we care to add when the dog was spayed or neutered to this information? 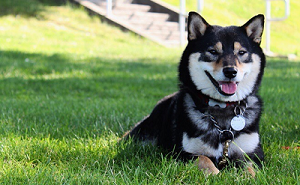 I mostly wonder because I'm curious about how well some of the giant shibas match up with ones who were spayed or neutered early (say, six months or before), given that early spay/neuter is connected to increased growth. I added Hammond to the chart and will update/add another data point after his next vet visit on Monday. At his last visit (around 9 weeks) he was a bit over 7 pounds. A new thread has been started that has incorporated spay/neuter dates as well. Bumping this thread because of all the size questions lately. I'm also relinking the google document so that people can put their dog's information in it. My dog Ryden, is 17.5 inches tall and weighs 28 pounds. He is very sturdy with lean muscle. Lucy just got back from the vet for her UTI and rabies shot. She seems to have lost some weight. She was 19.8 pounds. I still think she looks kind of heavy though. Maybe it's just because her best friend, guts, is a scrawny wimp. Guts is lean since he's a long distance runner. My Cody (male) is 4 years old and 49 pounds! Not fat. Bumped for new members, since weight/growth questions and comparisons come up a lot. Sagan is 16lbs at 4-months-old. Saki just turned two. Was weighed at the vet the other day and weighs in at a whopping 5.6 lbs! She's a good weight for her body size. She's just real dainty. Kismet is a 2 year old spayed female. She weighs 20lbs. Bear at 11 months was 30lbs, but looks very lean and narrow. 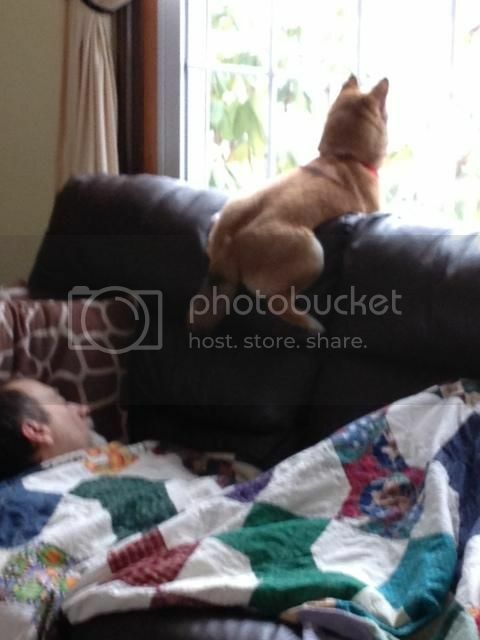 He stands tall for a Shiba though at 17-18 inches at the withers. My Shiba, he's little. Almost 10 months and 15 lbs. He's neutered and doesn't eat much. That spread sheet is pretty amazing. Zooey is 4.5 (almost 5) months and still shy of double digits at 9.2. I see by the sheet she is pretty much the smallest but some are closer than I expected. I figure she will just be my "little girl". Saya is three years she weighed 21lbs last time at the vet haven't been in while so my guess she is 20-22lbs? @Inuzoo Maybe you'll be surprised! 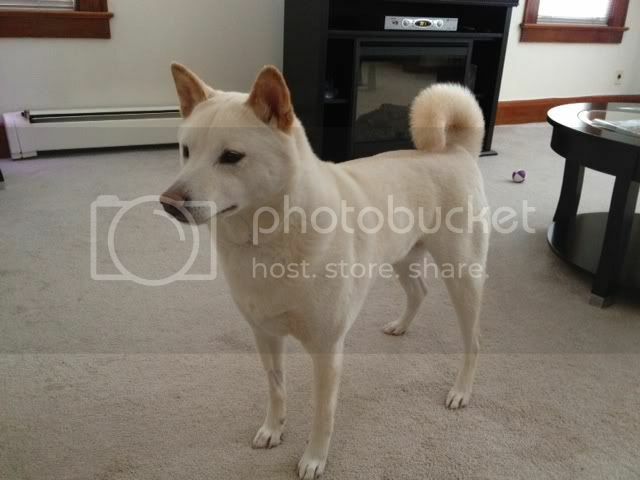 Your post made me curious about how Zooey measured up to other female Shibas her age (since I would have thought she was the smallest too) but there were two that seemed to be smaller and if the "Tikka"s are all the same dog, then one even grew up to be 19 lbs!! I guess it's just really hard to predict how big they'll get sometimes (although I do think she will always be small too). @ Tatonka. I found my Shiba doesnt eat much either hes 6.5 months so I started making him boiled chicken with rice & had to puree the greens to mix in. I started this when his teeth were falling out. I found he was eating every last grain of rice & the meat and leaving the veggies cubes kind of funny. Anyways I want him to eat kibble & finally found one he loves! Its called go GO! I am giving him the chicken turkey + trout. I am in Canada so not sure if they sell it in other countries but he just loves it. We just had him neutered as welk so it will be interesting to see how his weight progresses. Hiiro is a week away from being 5 months and is about 12 or 13 pounds. Kimura is a big girl... She's 7 and a half months and 19.5 pounds already! Wow, Sagan is identical to Kimura in terms of age and weight! Cool. It will be fun to see if they keep progressing the same way! Well Tatonka's been scarfing down chicken and kibble. No eating problems whatsoever. On a positive note he fits in a backpack and I can sneak him into work. My boy is around 18" at the withers (tall slender) due to his BYB background. He looks thin but weighed in today at 13 months at almost 32 lbs. Zooey is 6.5 months old and weighs in at....... 9.2 pounds. She had her knives trimmed today and proudly sat on the scale. I thought we'd hit 10 by now. I'll have to go look back at what I posted last but I think its been 9.2 (Yep, checked back and she's been 9.2 for a month). Guess she will always "puppy" sized. Sansa at 7 months old is 17.5 pounds. I really can't see her growing too much. My shiba is now 16.5 lbs and he is 4 and half month old. Is he going to grow oversize? He looks very healthy and fit though. I don't worry much just wonder. Taisho was 22lbs at his first vet appt (with us) at 2 1/2 years old. He may have gained a pound or two since he was too thin and eats like a horse. Kaji is almost 8 months old, about an inch taller, and has a much smaller frame, so I am guessing he is about 19-20lbs. I have not measured either's height. Kari is about 17-18 lbs and one year old. 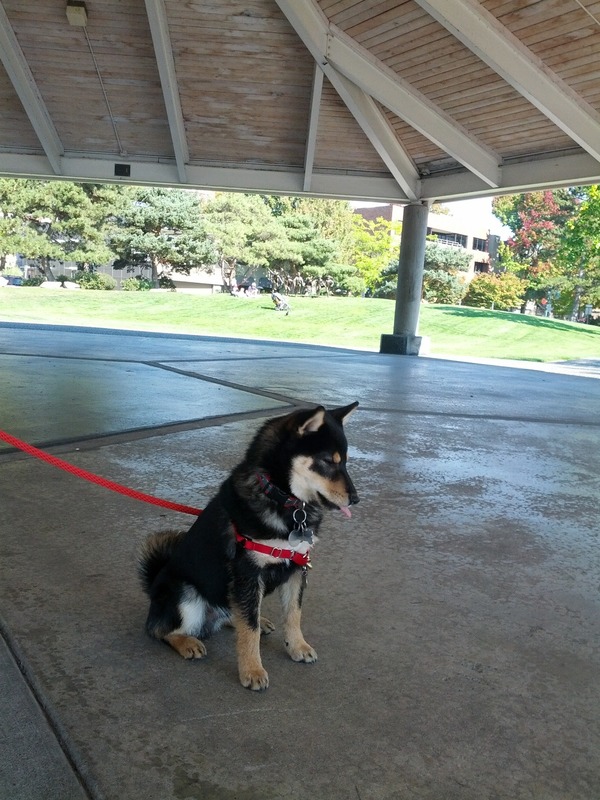 Every time we see other Shiba's at the dog park, she always looks so small compared to others. We're not underfeeding her either =/ Though she's the smallest, she's the fastest and can run the longest so maybe she's just really fit?